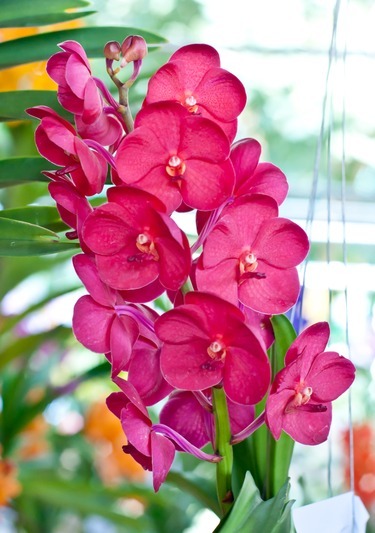 Orchid was named the “color of the year” for 2014, but that’s not news to the orchid-loving residents of Kauai. Around the world, the island has become known for its devotion to these sometimes temperamental plants, and the Garden Island Orchid Society has been championing orchids and orchid growers for years. Each year, the society sponsors two orchid shows aimed at generating interest in orchids, raising funds for the society and just plain providing enjoyment to the public. The next event will be held in April, when the society hosts its Spring Fantasy Orchid Show at the 2014 Kauai Orchid and Art Festival in Hanapepe. Admission to the orchid show is free and the society will be offering orchid plants for sale. In addition to exhibits and displays featuring orchids, the festival also offers lots of entertainment for people of all ages, including food, music, art and street vendors and a silent auction. This year’s event features lots of new artists and events taking place on the event’s main stage at the Hanapepe Hawaiian Congregational Church. The society’s second show is held in August in conjunction with the Kauai County Farm Bureau Fair. The elaborate annual display features contributions from many of the society’s members and also provides an opportunity to purchase plants. In addition to these two events, throughout the year, the society also arranges tours of orchid nurseries and gardens that feature orchids. The Garden Island Orchid Society is a nonprofit organization that includes hobbyists as well as commercial growers, and anyone else with an interest in orchids. Its mission is to promote an understanding and appreciation of orchids as well as to expand knowledge about their use and culture. It offers regular meetings featuring lectures, demonstrations and other events and also offers members a newsletter and a library filled with orchid-related information. Learn more by visiting the society’s website: http://www.gardenislandorchidsociety.org/.